When you look at your career strategy, are you more of a doer, or a thinker? Today’s productivity-obsessed professional culture has most of us believing it’s better to be a doer than a thinker. In reality, that mindset needs to change. Sometimes, you’re more likely to win big if you take the time to stop and think for a second. Breathe. Slow down. Change perspective and look at what you need to mull over in order to start approaching your career more strategically. Put the planning phase back into your career strategy with this 5-page guide designed to help you discover the change you need. Download it right here, for free, and get to work on thinking through a more holistic career fit today. 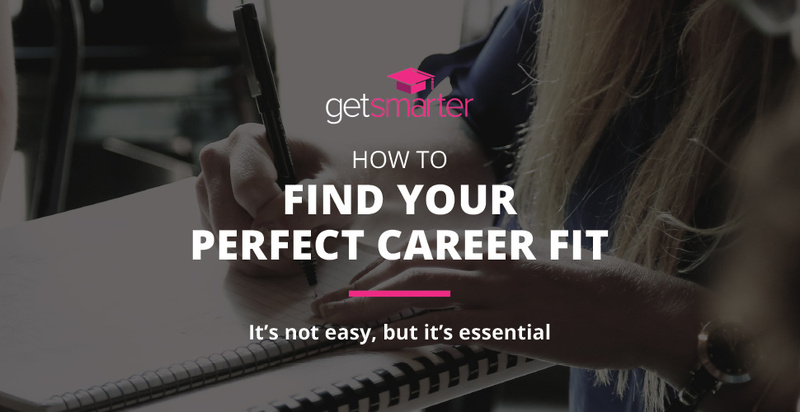 When you’re on track with figuring out what it is you truly want from your career, it’s time to start exploring what exactly you need to learn to get yourself there. Browse UCT and GetSmarter’s portfolio of online courses for some inspiration.